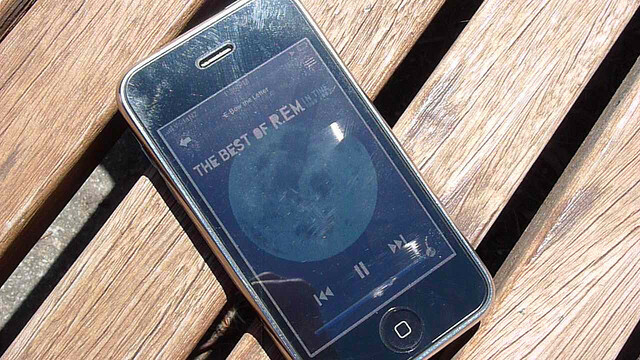 UK music discovery app Shazam has decided to leverage its data to try to predict this summer’s music hits. Made public today, its tentative top ten includes popular artists, such as Usher and Calvin Harris, but also surprise entrants. Shazam Tag Charts have already proven themselves in the past; according to the startup, it accurately predicted Lana del Rey’s and Jessie J’s success before they both hit the mainstream. “In fact, up to 85% of the songs that get to number one in Shazam’s charts go on to break into national top 10 charts, as well,” Mills adds. 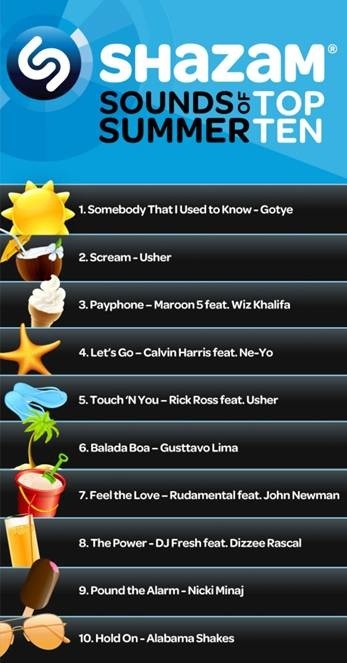 Shazam’s top ten predictions for this summer are mostly based on the number of tags each song has generated so far. As a matter of fact, Gotye’s ‘Somebody That I Used to Know‘ is currently receiving no less than 1.5m tags per week. Several of the songs on the list have also been riding high in the charts for the last few weeks and/or come for popular artists, such as Nicki Minaj and Usher, featured with two different tracks. Shazam’s bets also include songs which have been performing well in one or several countries, and could now become global hits. This is the case of the popular Brazilian singer Gusttavo Lima, who may well be the next Michel Teló, but also of Rudamental, whose track “Feel the Love” has been number one in the Shazam New Release Chart UK for several weeks. “US programmers are more likely to select a song which has taken the #1 spot in the UK and across Europe – we have already seen this several times with dance music,” Mills explains. This trend could also benefit to indie bands such as Alabama Shakes, whose song ‘Hold On‘ has been one of the most-tagged indie/alt tracks in the UK this year, and is now starting to make movement in Shazam’s US Tag Chart. “In Europe, the radio landscape is more diverse than in the US, so it’s also more reactive. It means that a song can go from underground to massive hit more easily,” Mills says.